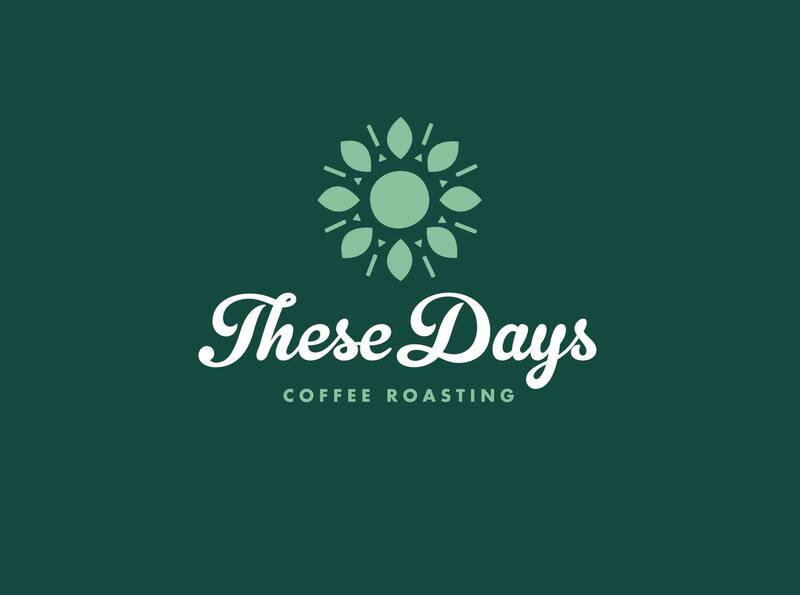 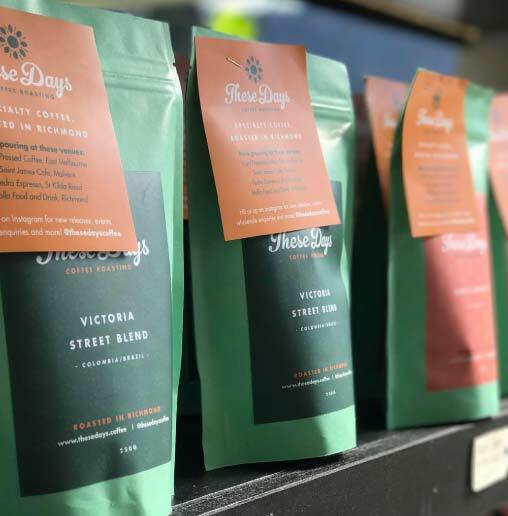 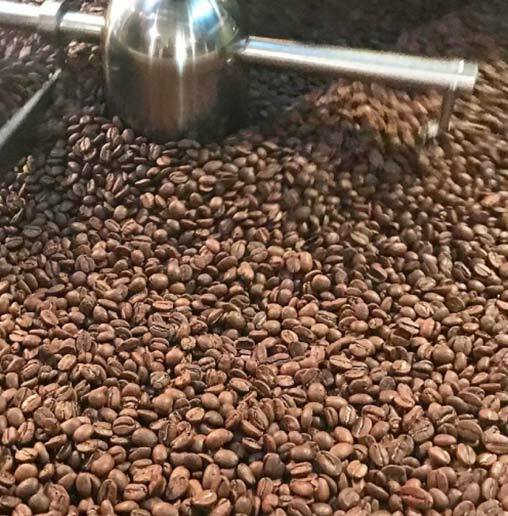 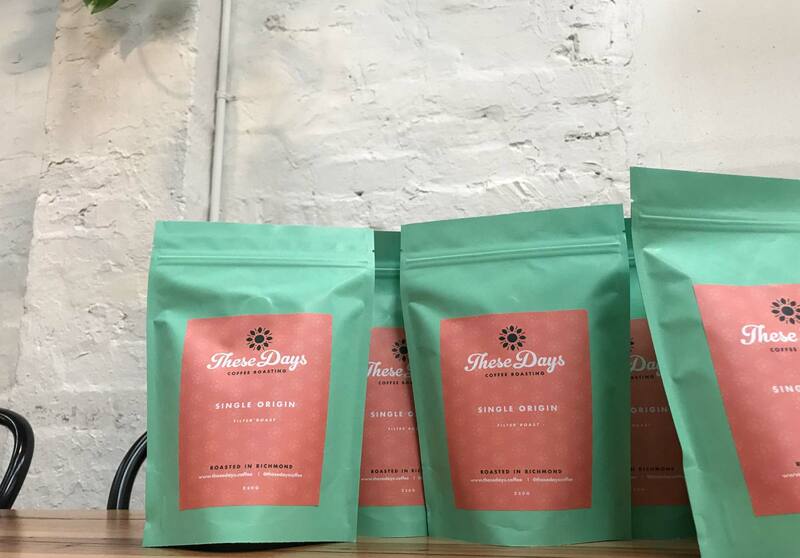 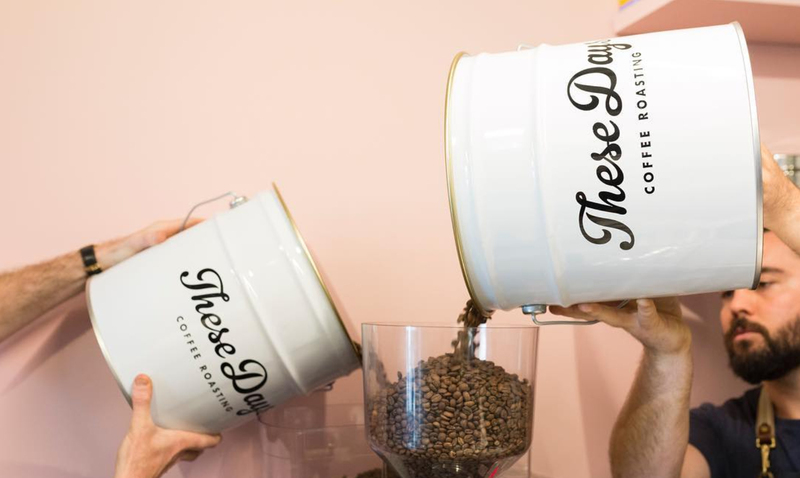 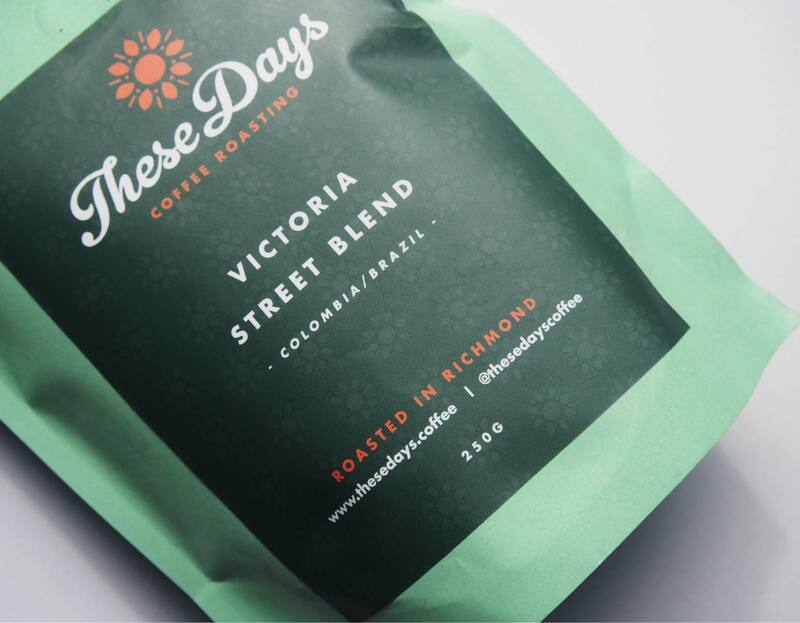 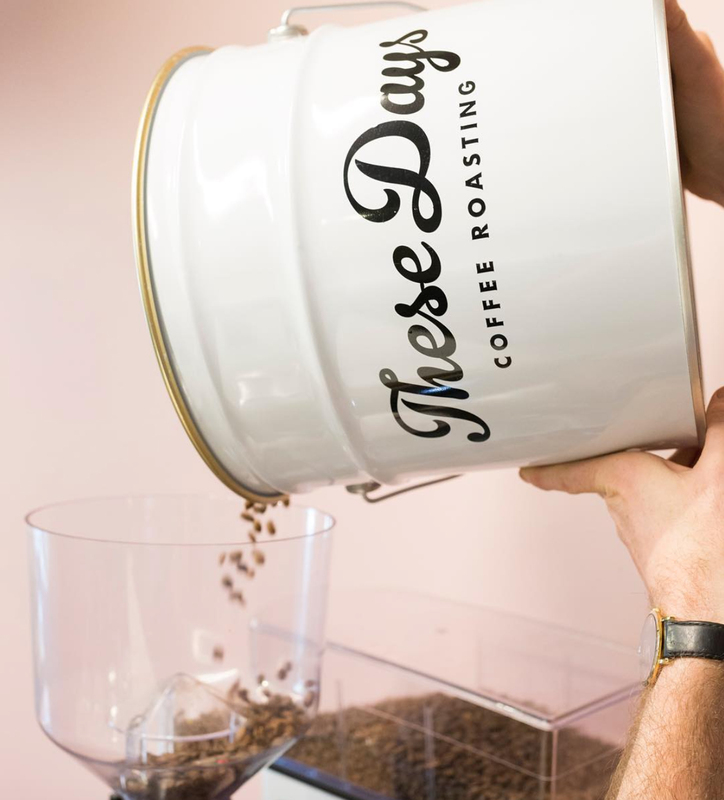 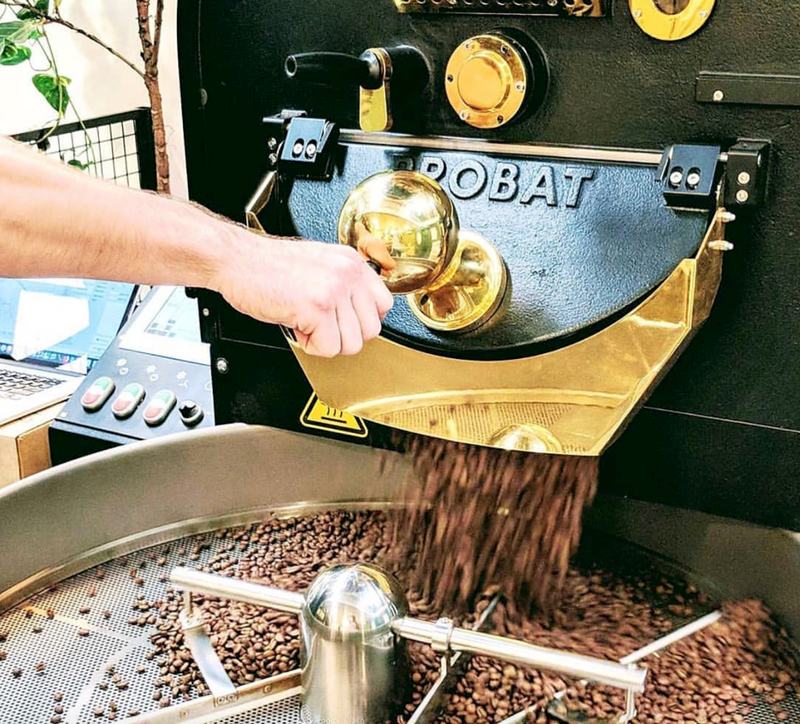 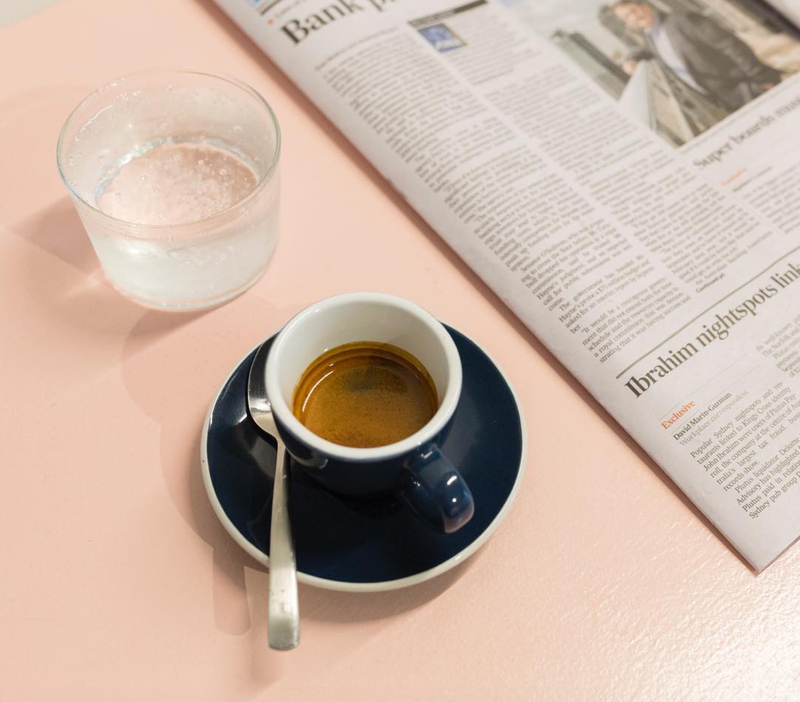 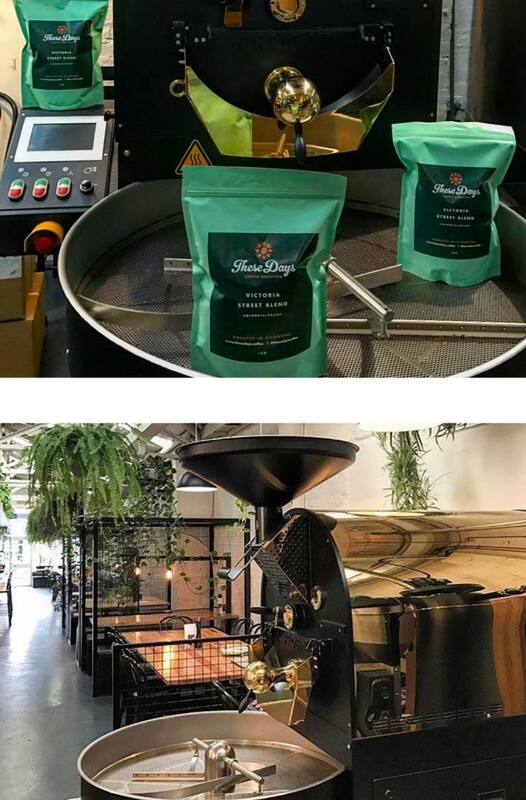 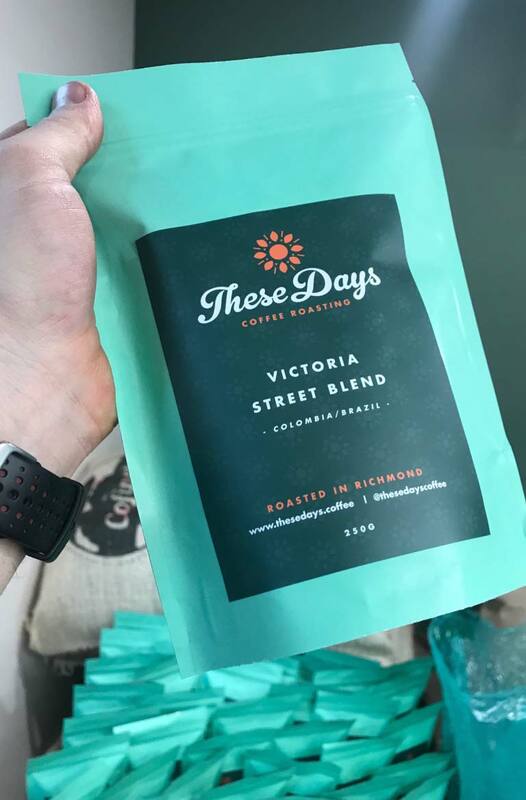 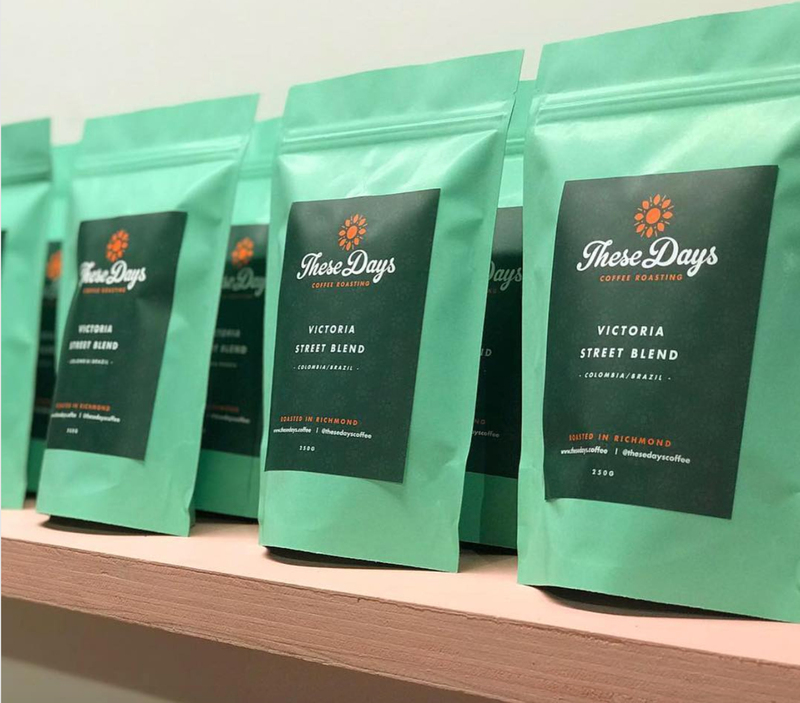 ‘Bright, fun, fresh with a touch of vintage charm’ was the brief for the brand identity of specialty coffee roasters These Days Coffee Roasting. 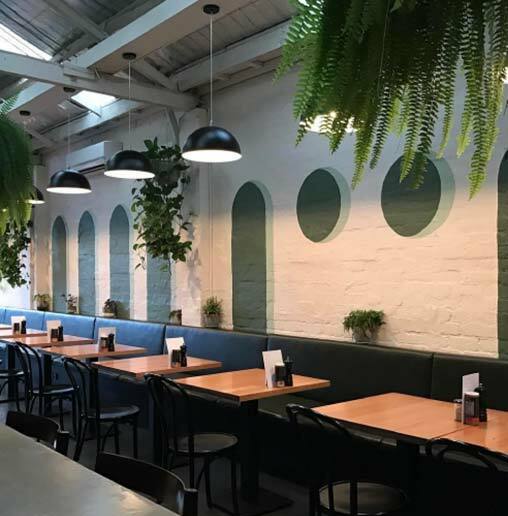 Roasted on site at Holla Food & Drink in Victoria Street Richmond, the interior’s green hues, and the client’s orange mini car was the inspiration around the colour palette. 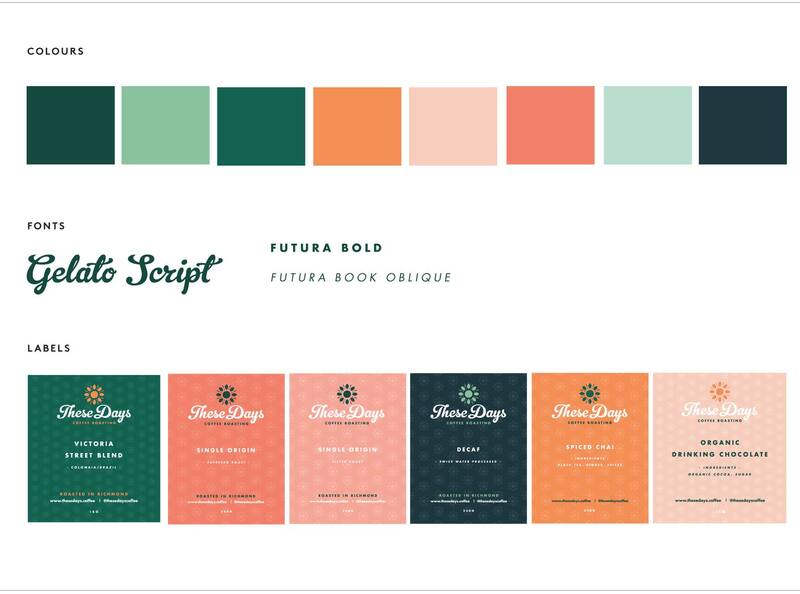 COLLATERAL DESIGNED: BRAND IDENTITY, STYLE GUIDE, PACKAGING, PROMOTIONAL FLYER + OTHER ONGOING PROMOTIONAL ITEMS.